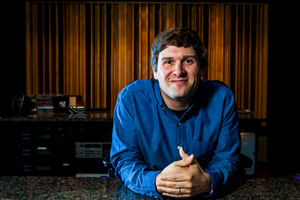 Adam Ayan is a Grammy Award, 3x Latin Grammy Award, and TEC Award winning mastering engineer, who works at the world class mastering facility Gateway Mastering in Portland, ME. Adam has had the pleasure of mastering thousands of recordings in his career. His credits are diverse and exemplary - including recordings for superstar artists such as Paul McCartney, Carrie Underwood, Katy Perry, Lana del Rey, Bruce Springsteen, Madonna, the Foo Fighters, the Rolling Stones, Kelly Clarkson, Juan Luis Guerra, Rush, Rascal Flatts, Pearl Jam, The Animals, and Keith Urban to name a few. Adam has mastered several Grammy Award winning recordings (30 to date! ), and has over 100 Gold, Platinum or Multi-Platinum projects to his credit. Many of the recording industry’s best producers, engineers, and artists rely on Adam’s ears and expertise to fully realize their artistic vision.